Every year World Contraception Day is celebrated on 26 September. Contraception is a method used to maintain pregnancy and the government continues to make efforts for Indonesian people to use contraception. The success of this program must be balanced with cross-sector cooperation. The Rama Sesana Foundation is active to help and provides services in the form of conseling and education methods, and benefits from Contraception. In medical services YRS provides family planning services which consist of 1-month injection, 3-month injection, PIL, IUD, implants and condoms. 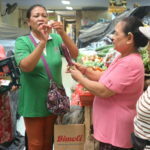 All of these activities are carried out at Pasar Pasar Badung Eks. Tiara Grosir, Jl. 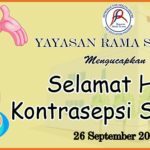 Cokroaminoto Denpasar and Rumah Sehat (Sanur Clinic) and handled by the expert. With all those things that hoping can improve the quality and status of public health. Come and join us in YRS, one small step, the beginning of a big result.